Our campers will have access to some of the top collegiate facilities in the area. 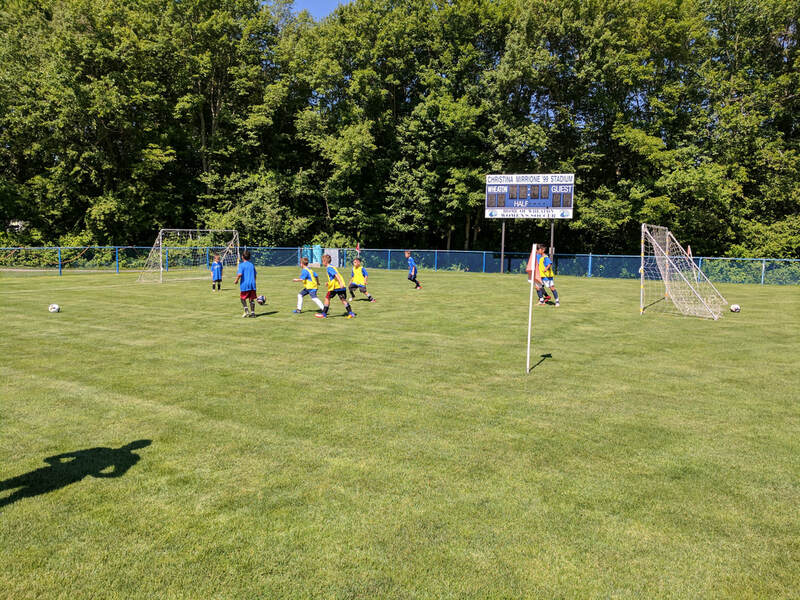 Bay State Elite Soccer Academy activities are held on the campus of Wheaton College in the beautiful town of Norton, MA. The camp has use of three amazing soccer fields, two of which are natural grass and the third being an artificial turf field. The camp also has use of the field house which has an Olympic-size Swimming pool, in which campers will be able to use each day to cool off. A lifeguard is always on duty during use of the swimming pool and a certified athletic trainer is available at the field during training sessions. Ice water is always available to our campers.